No darkness without light. 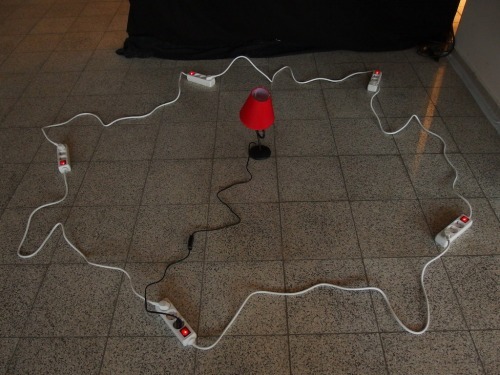 Five power strips are connected in series in a closed circle, with no outside connection. Apparently, the power is flowing round and round, as indicated by the red lights in the switches. A bedside lamp is installed in the center of the circle and is lit although it appears not to be plugged in. Visitors get to test their reality perception. Using a special technique, derived from the advanced physics used in the CERN supercollider, electric power is captured in the closed circuit formed by the power strips. 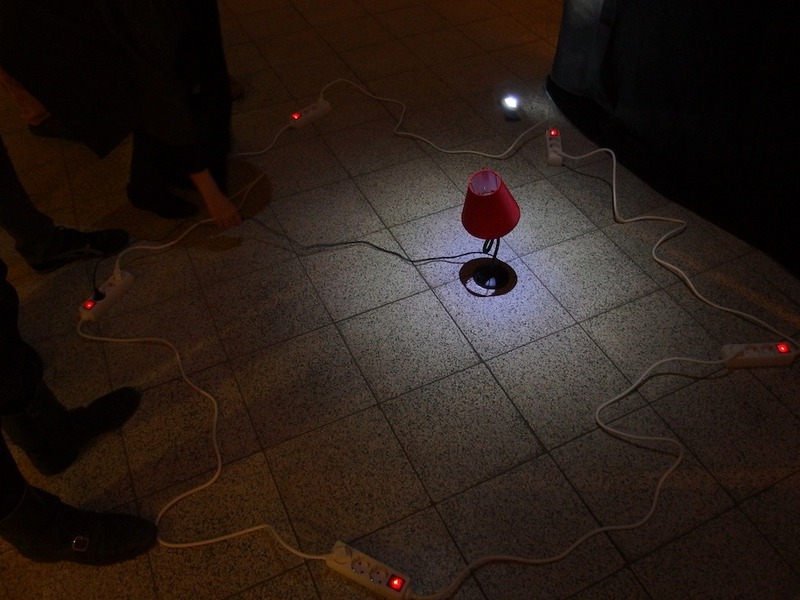 The electrons are flowing round and round and round, as indicated by the red power lights in the switches of the strips.